We’ve been watching how governors around the country are getting extra “creative” as they try to keep their transportation budgets solvent. Yesterday we witnessed an excise tax on bicycles floated in Washington State. The move could also have the unexpected effect of linking the prices paid by some utility customers to the financing of the state’s road system. Bonds for the road work would go through even if the state property was not ultimately sold. What are these projects that are so tremendously important the state’s assets must be sold to pay for them? Well, Wisconsin is going to blow a considerable chunk of that change on a project called the Zoo Interchange, outside of Milwaukee. This $1.7 billion — yes, billion with a “b” — project would be one of the most expensive interchanges ever built. 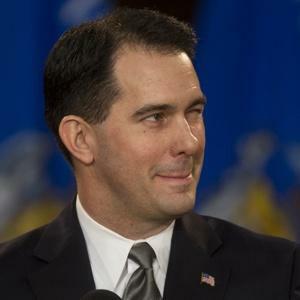 Walker specifically mentioned that it was one of his two top priorities in an interview with the Journal Sentinel. This from the same guy who couldn’t stomach passenger rail in his state because it would require a subsidy of a few million dollars a year. Sad to say, Wisconsin’s plan is not much worse than the ones being promoted in other parts of the Midwest. 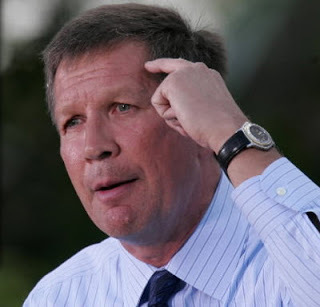 In Ohio, Governor John Kasich has proposed bonding against future turnpike revenues to plug a hole in the state’s highway budget. ODOT is currently surveying state residents, asking how important they think it is for Ohio to pursue the $6 billion in highway spending it has promised local governments, despite the fact that the state is in a pretty deep hole and has no plan to boost long-term revenues. Kasich has been appealing to politicians in northern Ohio to support the plan by promising the majority of the revenues borrowed from the turnpike would be returned to that region of the state. Meanwhile, the Cleveland Plain Dealer reports that although approval from the statehouse is still forthcoming, ODOT officials are already busy laying the legal groundwork for the sale of bonds. Another complete abdication of budgetary responsibility from a governor who claimed fiscal restraint demanded he turn down federal passenger rail funds. Looks like future generations will be footing the bill for Kasich’s highway spending spree in Ohio. Meanwhile, Missouri has another groan-worthy plan to shore up transportation funding. The state has proposed a one-cent sales tax to pay for transportation. And state officials want to exempt gas from the sales tax. So a driver filling up at the pump — whom this tax will benefit — will be spared the costs, while carless parents buying groceries for their children will not. That tax increase is going to generate $8 billion dollars over 10 years. And guess what? Almost 13 percent of that — $1 billion — is already spoken for. The state wants to use it to rebuild and widen Interstate 70, according to the St. Louis Post Dispatch. On the bright side, the Missouri Bicycle Federation is hopeful the state will make state funding available to local communities to spend on bike and pedestrian infrastructure for the first time. If Missouri is going to make funding for transportation the responsibility of all its citizens, that seems like that is the least it could do. Sometimes I wonder if breathing in fumes causes the incoherent thought processes which lead to proposals like this. Smart young folk have a clear path to take: move to states that are not ransoming their future. Angie, could you explain to us readers how a Republican governor was able to increase his state’s gas excise tax by 71% – all at once, no less, not gradually? On July 1, Wyoming’s gas tax will jump 10 cents – I think this is incredible. “The gas tax is dead!”, the political pundits and analysts proclaim – and their poster boy is Bob McDonnell of VA who proposes to eliminate the state gas tax and replace it with an increase in the general sales tax. How did Gov. Matt Mead do it, and why can’t other Govs do it? So the future of Ohio is more of the roads they built in the 1970’s which led to the decline of Cleveland? Brilliant! Well, “John Dough” is at it again!